I’ve been methodically getting our backyard oasis ready for summer. There’s still plenty more work to do, but it is coming together beautifully! 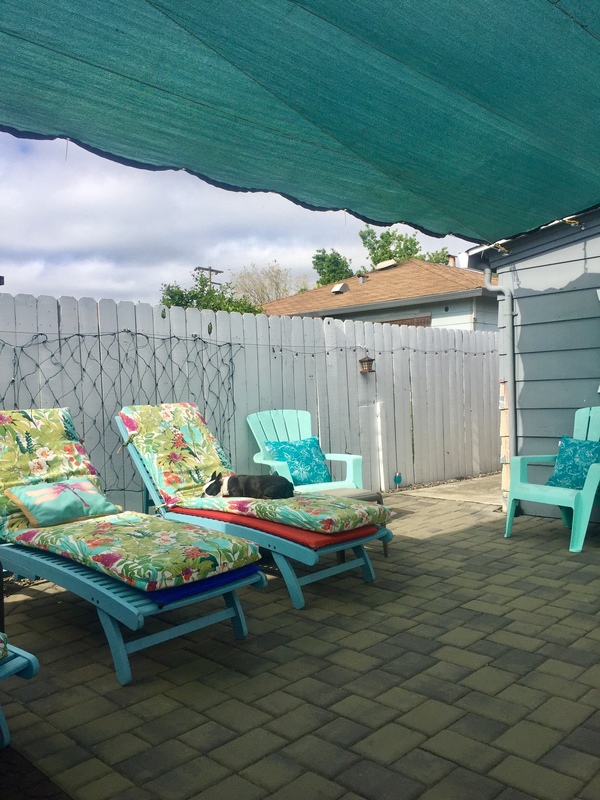 While I was rehanging solar twinkle lights under the green shade cloth today, Paisley enjoyed the freshly power-washed cushions and outdoor furniture! Today’s #OneGoodThing was getting our backyard ready for good times with Mama! Day 134 of 365. And Day 865 in a row (here’s the first 366 & the following 365)! 1 year ago today: Couldn’t put the book down — DAY 500 IN A ROW!!! !